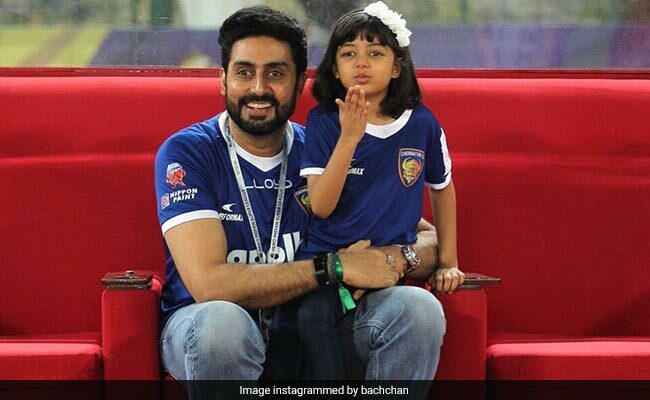 Abhishek also posted a picture of himself with wife Aishwarya Rai Bachchan and Aaradhya from the stadium. The family frame also features Jeje Lalpekhlua, a Chennaiyin FC player. On Sunday, Aishwarya and Aaradhya were spotted at the Mumbai airport and the duo were seen twinning in blue and wore the team's jersey. Aaradhya celebrated her sixth birthday in November, last year. Aishwarya, 44, and Abhishek, 41, have been married since 2007 and Aaradhya is the couple's only child. Aaradhya celebrated and welcomed the New Year with her family and daadaji Amitabh Bachchan delighted us with some cute pictures. 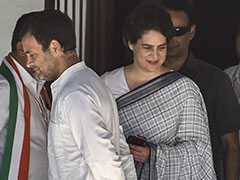 In his blog, Big B, 75, had mentioned how the family celebrated New Year. "The family sits out in the 'angan' my most favoured destination in the house .. the wife has decorated the table and the food .. it is intimate and warm and delicious .. the grand children are there in smiles and affection .. and what more can one ever desire .. and the little one removes here 'tiara' hair band , places it on her Dada ji's head and finds it hilarious.. the happiest of new years .. and more .. she designs gentle decorative cards for all and presents little gifts for us .. urging everyone to open the gift and give opinion on it." On the work front, Amitabh Bachchan will soon feature in Thugs Of Hindostan, co-starring Aamir Khan and he also has Brahmastra in the pipeline with Alia Bhatt and Ranbir Kapoor while Aishwarya will soon star in Fanne Khan, also starring Anil Kapoor.